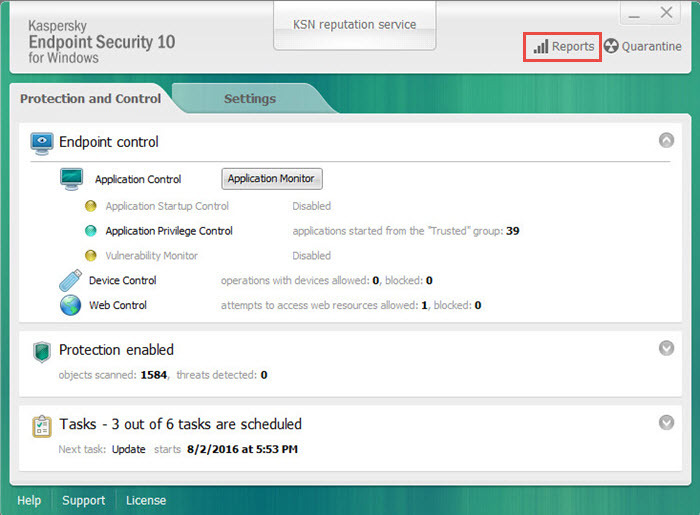 Open Kaspersky Endpoint Security 10 and follow the Reports link. In the Reports window, go to System Audit. 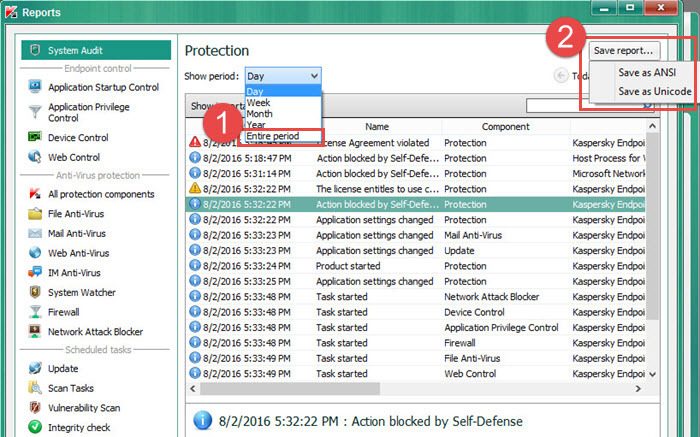 Select Entire period, click Save report -> Save as Unicode. 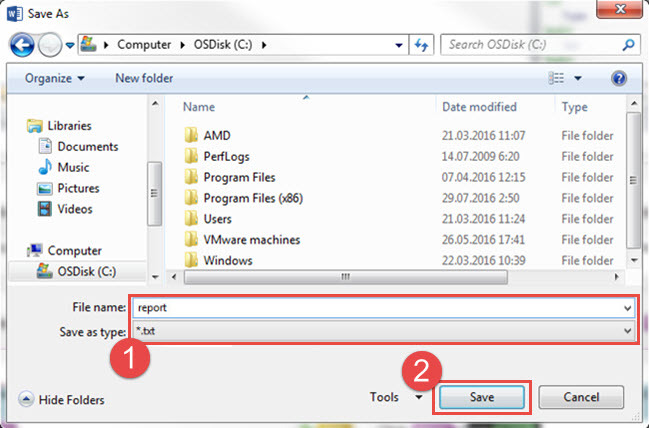 Specify the folder where to save the report and select Save as type *.txt. Click Done.